Emeril Legasse at Inn of the Mountain Gods — DiscoverRUIDOSO.com | Plan your Ruidoso getaway here! Foodies won't want to miss this evening of gourmet food and cooking demonstrations by Celebrity Chef Emeril Lagasse! Known for his hit shows on the Food Network, the Amazon original series Eat the World with Emeril Lagasse and as the food correspondent for ABC’s Good Morning America, Emeril is the chef and proprietor of 11 restaurants and the bestselling author of 19 cookbooks. Doors open at 7 PM. Tickets from $70. As a national TV personality, he has hosted more than 2,000 shows on the Food Network, and is the food correspondent for ABC’s “Good Morning America.” Most recently, Amazon launched an original series featuring Lagasse called Eat the World with Emeril Lagasse. The series received five daytime Emmy nominations and won Outstanding Culinary Program. The series was also a James Beard semifinalist in the category Outstanding Personality of Host. Lagasse has appeared as a guest judge in four seasons of Bravo’s hit food series, “Top Chef,” was named a co-host on the 10th season of the “Rachael Ray Show,” and has appeared on the Cooking Channel with five seasons of “Emeril’s Florida.” He is the bestselling author of 19 cookbooks, the latest titled Essential Emeril: Favorite Recipes and Hard-Won Wisdom from My Life in the Kitchen. In 2002, Lagasse established the Emeril Lagasse Foundation to support children’s educational programs that inspire and mentor young people through the culinary arts, nutrition, healthy eating, and important life skills. To date, the Foundation has distributed $7 million in grants benefitting children’s charities in New Orleans, Las Vegas and on the Gulf Coast. In 2013, Lagasse was named the Humanitarian of the Year by the James Beard Foundation for his dedicated efforts to further the culinary arts in America, as well as his philanthropic work supporting children’s educational programs through his Foundation. 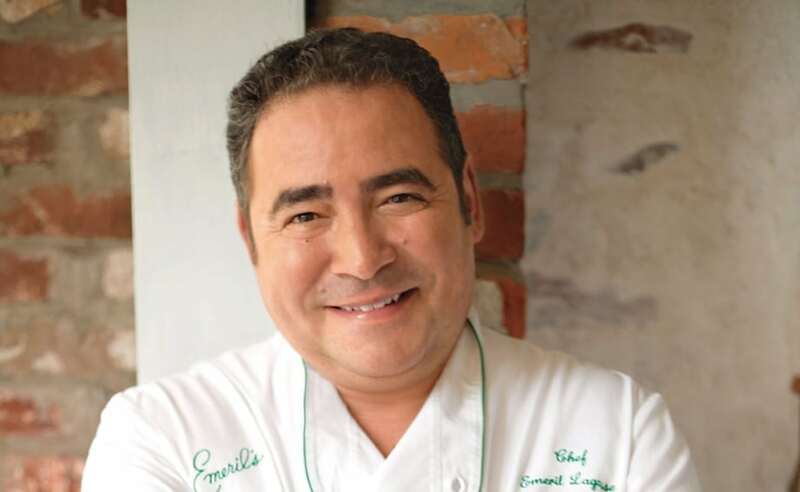 In December 2015, Sequential Brands Group, Inc. (Nasdaq:SQBG) acquired the assets related to Emeril Lagasse’s media and merchandising business, including television programming, cookbooks, the Emerils.com website and his licensed kitchen and food products. For more information, visit: http://www.emerils.com.